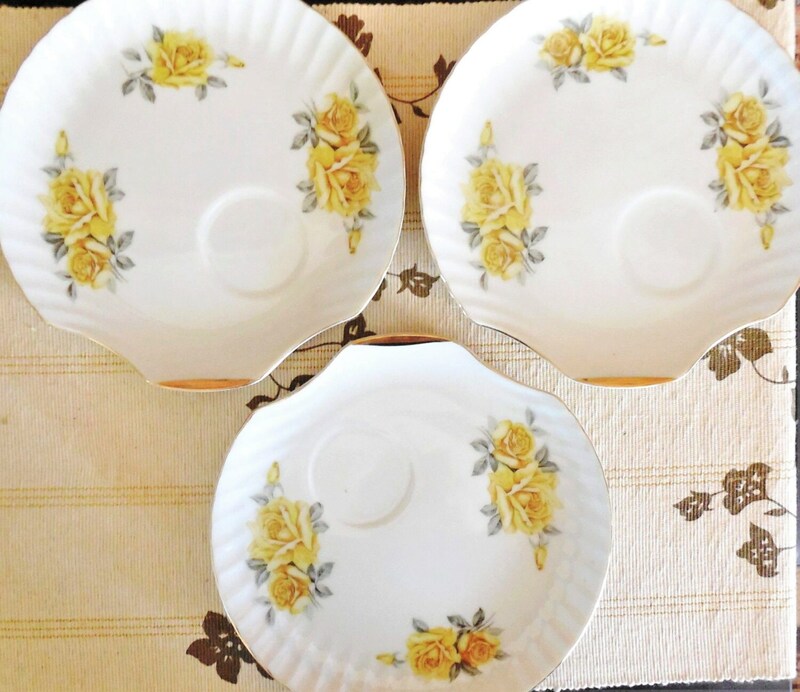 If you have 3 vintage porcelain or bone china cups with yellow roses, or plain white ones, that you don’t know what to do with... we have a solution! On offer are 3 saucers, the large wide type, which originally formed part of tennis sets – the cups have long gone but the saucers are too gorgeous to throw out. They are perfect as stand alone serving plates for lunch or high tea, but - if you happen to have them - they would look great teamed with plain white or yellow cups. Each is in brilliant vintage condition though with the expected touches of wear you’d expect in 50 year old china.